UFO SIGHTINGS DAILY: Giant Round Building Found In Crater On Earths Moon, Dec 2016, Telescope Video, UFO Sighting News. 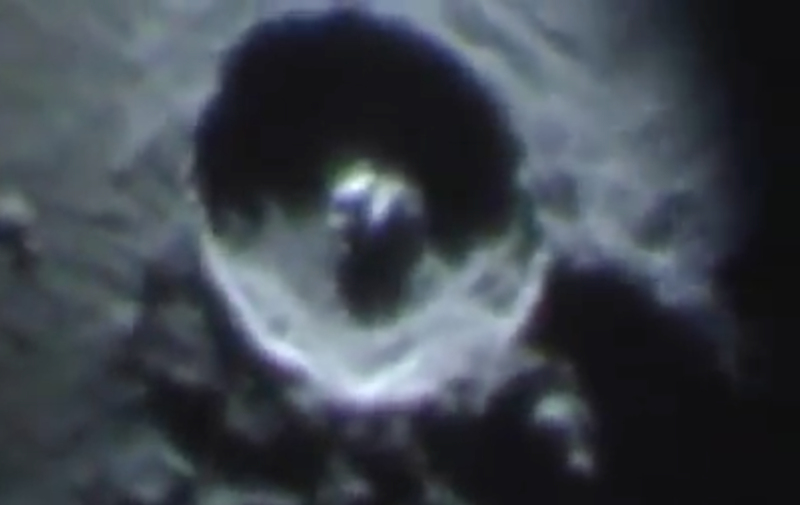 Giant Round Building Found In Crater On Earths Moon, Dec 2016, Telescope Video, UFO Sighting News. Here is a highly detailed view of one of the craters on Earths moon. This object is huge! Its round and it almost looks like a giant duck shaped building right smack dab in the middle of the crater. This is a remarkable catch. You can see in the video that the person is using his cell phone on the telescopes view finder. That is why we see a round area of black on the view. Remarkable catch and 100% proof that aliens exist on our moon. WTF is that huge structure in the middle of that crater, it overpowers the crater itself.